Great game on a great console! 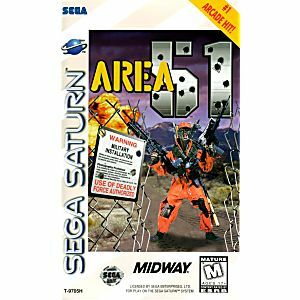 When it comes to arcade games, Area 51 has always been my very favorite. It was only recently I found out it was released on two home consoles! With that in mind I got a Sega Saturn, two guns, and this game. Amazing port, to my eyes it looks perfect and the sound is great! I really like that they added the on-screen border as one of my biggest complaints with light gun games has always been missing shots on the edges of the screen. 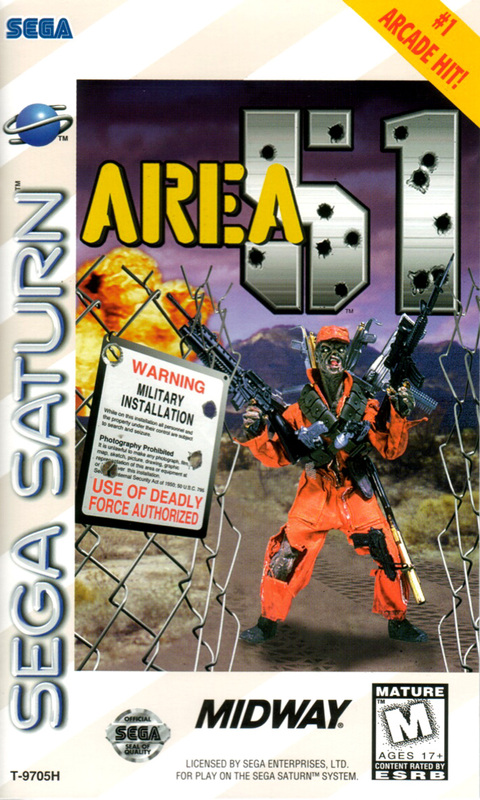 If you've somehow never played it on arcade just let me tell you: this is the single greatest light gun shooter out there! To those that have played it: stop wasting quarters and just buy the game,you won't regret it!